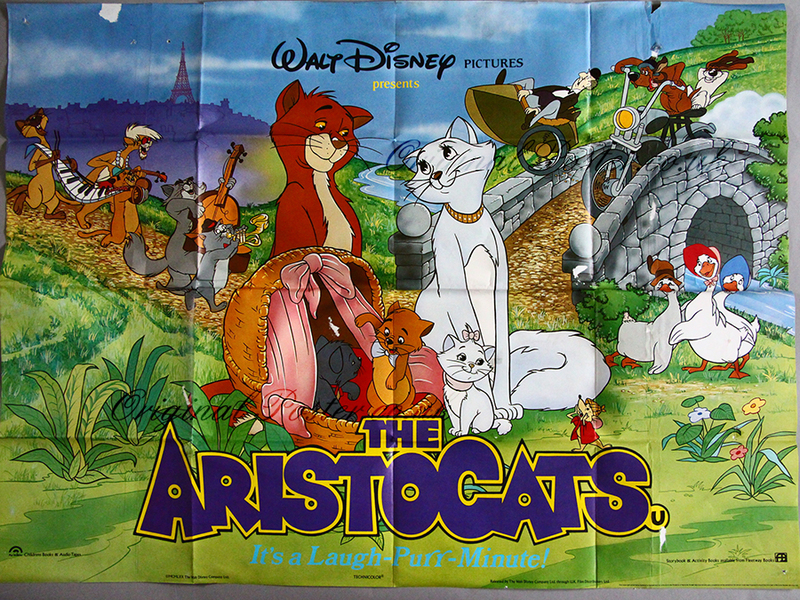 Details This is the folded British quad cinema poster from the 1990 re-release for 'The AristoCats'. Please note the paper lift to the top left border, middle and bottom right. There is also an old tape mark to the top right.